This post may contain paid referral and/or affiliate links. If you chose to sign up or purchase there is no additional cost to you. Last October I purchased The Genius Blogger’s Toolkit. The Toolkit was only available for one week. It was so popular that the folks at Ultimate Bundles (the company that puts out the Toolkit) decided to have a two-day flash sale. Here is my journey and honest review of The Genius Blogger’s Toolkit 2017. When I found out I was pregnant with my son I knew I didn’t want to work away from home after he was born but I still wanted to help my husband with finances. My current job had me working from home but two weeks before I had my son they did away with working from home. 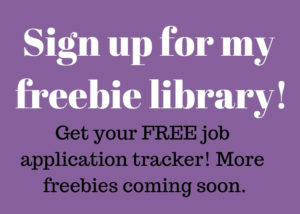 Not finding a shift that was available when my husband could stay home with my son I started looking for work from home online. There were so many things to do from home. Stuffing envelopes, email systems, offer sites, customer service over the phone, tech support over the phone or email, website reviews, affiliate marketing, virtual assistants, and on and on. Some sounded way to good to be true. Well, they were. There are a lot of legit work at home jobs out there but there are a lot more scams out there. I spent a lot of time researching legitimate work from home jobs. So much so I could usually tell what was a scam and what wasn’t. Yeah, I did get scammed. Luckily I didn’t lose money, but I lost time. One of the things I enjoyed was participating in mommy groups on the internet, such as Facebook and Baby Center. Other moms were also looking for work from home jobs so they can stay home with their babies too. This lead me to want to help others find real legitimate work from jobs so they wouldn’t get scammed either. I had a hard time keeping track of what companies hired for what and their websites. So I came up with an idea to have a website that I could list the company with their information and links. Around this time I heard blogging was getting really popular. This is when my idea for a blog formed. At this time I had a 6-month-old and I started researching and planning my blog. When my son was 7 months old I got pregnant. Talk about an energy zapper. I still planned my blog here and there, talked about it with friends but wasn’t able to get it off the ground. Partly because I couldn’t come up with a name and partly because even though I researched it and read a little bit of how to start one, I was still completely in the dark. Fast forward a couple of years dreaming about it. I ran across a blog talking about The Genius Blogger’s Toolkit. They were offering free webinars. So I planned to tune in (even rescheduling an appointment I had for two months and had to wait another month to reschedule to). 5 days of webinars and I didn’t miss a single one. I was so captivated by all the information. Previously I had no idea you could make money from a blog! I was just trying to find a way to help others. Watching these webinars had me hooked, fired up and excited. I didn’t know how I was going to afford the $97 at first but I knew I needed to find a way to get the money to invest in my family’s future. It has been the best thing I could have done for my business! Right after purchasing The Genius Blogger’s Toolkit I got to work. I first started off with downloading a few Blogging Planners, then enrolled in Blog by Number: Every Busy Mom’s Ultimate Guide to Starting a Blog by Suzi Whitford. This course was amazing. Normally priced at $47 (one product at almost half the value of the whole toolkit). I was able to start my blog and I learned so much. I have to say I am now one of Suzi’s biggest fans. As I am still a new blogger I still have much of the Toolkit to explore and learn. I have already gotten so much more out of The Genius Blogger’s Toolkit then I paid. I am eagerly awaiting the next one. 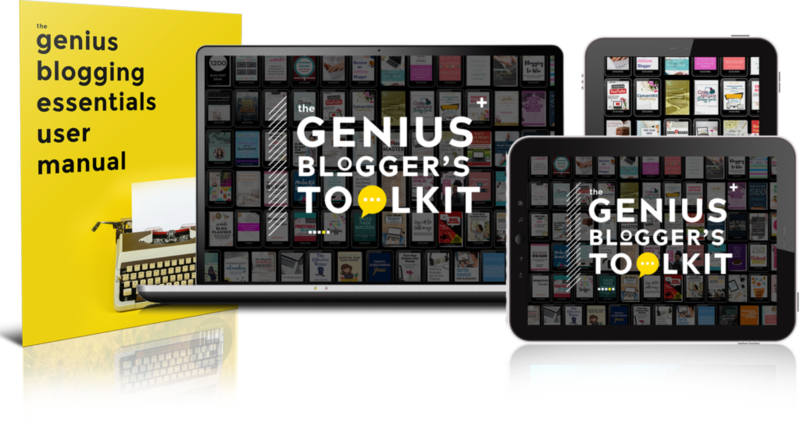 So what is The Genius Blogger’s Toolkit? The team at Ultimate Bundles has put together the best resources on ALL the topics that matter to bloggers, like how to start a blog, mastering social media, monetization, creating and selling products, time management, and productivity, growing an email list, and so much more. You’ll get 91 resources, like eBooks, eCourses, templates, and workbooks, so you’ll find everything you need to propel your blog to the next step and far beyond. These resources include over $5,800 of blogging tips, strategies, tutorials and amazingly practical information and ideas. For real. And that’s not even everything. You can also get free bonus offers worth $487, with 6 tools and services to help you run your blog better. Wow! That is a lot. Don’t feel overwhelmed by how much there is. I know, easier said then done but look at it this way. Just use what you need and work through it. A majority of the products you can download and use forever. The rest, such as the courses, are available to you until the next bundle comes out. It was so popular in October (when I purchased mine) that they’re bringing back the Toolkit for just two days! The most important detail, though, is that this toolkit is available for just 2 days. After 11:59pm Tuesday, May 15th, the sale ends and you’d have to buy all of these products individually. I’d hate for you to miss out. For more information or to purchase you can visit the Ultimate Bundles website. The folks over at Ultimate Bundles also have a wonderful Work at Home Super Bundle available for purchase. They are selling it through May 31, 2018 for just $47. You can check out their website to get more information or to purchase it. I will have more information about it in my next post coming out this week. Thank you for consolidating a list of blogging resources by category.